Google confirms via Twitter that Google Wave invites are now going out! There has been no shortage of buzz today around the release of Google Wave. And people from Twitter to Ebay have been getting in the action. 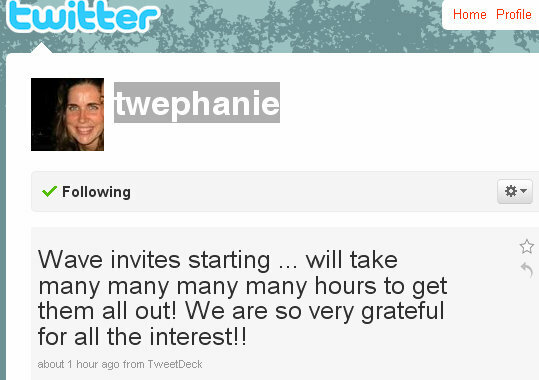 Well it’s now official – Google Wave Product Manager Stephanie Hannon has just confirmed via her Twitter profile, around 8:50pm EST, that Google Wave invites are now being sent out!